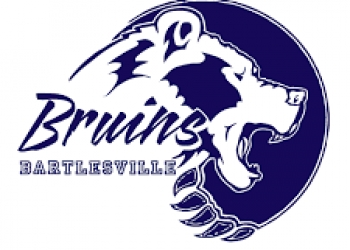 Bartlesville High had a great weekend with its track and field teams, as the Lady Bruins and Bruins have only a matter of a few weeks until the postseason is here for 6A. Both clubs traveled to Booker T. Washington for a meet on Friday, the Bruin boys won the meet, while the girls took fourth as a club. Bartlesville got individual championships from Liza Williams in the 3200m and the 1600m. The Bruin guys had multiple top-five finishes and two relay championships in the 4x400m and the 4x800 relay runs. James Boudreaux, Caleb Eiden, Spencer Hales and Tyler Linthacum were all names to remember for the Bruins. Jumper Gerald Gray also did well on Friday. The 4x800 relay team continues to impress and roll through competition in 2019 after breaking a school record just weeks ago. BHS head track and field coach David Ayers talks about that group. BHS has just one or two more meets before hitting the postseason and the 6A Regionals the first weekend in May.